Mechanical failures are often the cause of trucking accidents. 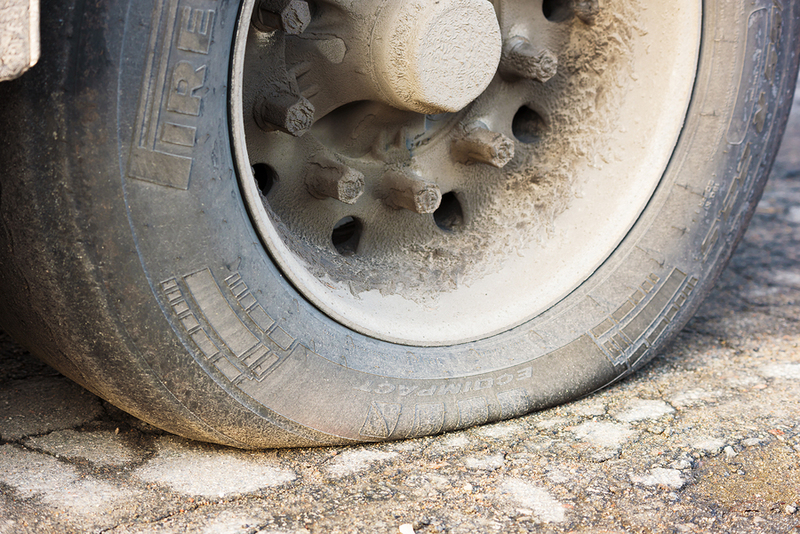 The two most common mechanical failures are the defective tires and brake failures, and according to the Department of Transportation, they cause for almost 30% of all trucking accidents. With the help of the best semi-truck accident lawyer from Annapolis, you can find out the cause of the accident and file your claim. If you’ve been hurt in a truck accident, it is crucial to know the common causes of tire and brake failure when determining the validity of your claim and who you should sue. Defective brakes: who is liable? The leasing, hauling and trucking companies tend to argue among themselves about who is at fault and whose insurance is going to offer your truck injury compensation in Annapolis. For example, the owner of the trucking company could say that the defective brakes caused the accident. The brake company might say that the leasing company did not maintain the brakes and that caused the accident. Your freight truck accident lawyer from Annapolis can help you determine who is at fault and which company/party you should sue. If the brakes do not respect the federal standards, you might be entitled to a truck injury settlement in Annapolis. The best semi-truck accident lawyer in Annapolis can help you file your claim against the manufacturer, which comes in two forms: (A) the brakes were designed correctly but a defect occurred during the manufacturing process or (B) the manufacturer failed to design the brakes properly. This types of cases are called product liability cases and you will receive truck injury compensation if the manufacturer is found guilty. In some cases, the actions taken by the trucking company or the driver (or the negligent inactions) can cause the failure of the brakes. Improper brake setting or failure to maintain the brakes. Federal regulations obligate commercial trucking companies to keep maintenance records for all their vehicles. Your freight truck accident lawyer from Annapolis can check the maintenance logs and if there are some inconsistencies you may be able to sue the company. Depowering the front brakes. Some drivers that are also the owners of the truck deliberately depower or unhook the front brakes of the truck, relying only on the brakes of the trailer to stop or slow the vehicle down. This behavior minimizes the expenses for the brake and tires and replacement costs. If the accident you’ve been involved was caused by depowering the front brakes of the truck, you can file a claim and reach a truck injury settlement in Annapolis. For more information about brake and tire failure, contact the best semi-truck accident lawyer in Annapolis at (443) 569-3950 or send an email at [email protected].